Employee engagement is one of those HR topics that people all know something about, but is often not really understood. In this post I’ll explain what employee engagement is and why employers like it so much. Contractual effort is the effort I put in because I have to, this includes completing work to an okay standard, being on time, being reliable, taking on extra tasks when required. Basically I work to the basic rules and my job description. In return for my effort I receive all of the pay I am due to receive. In maths this means that for 100% of my pay I may actually only give you 80% of my effort. 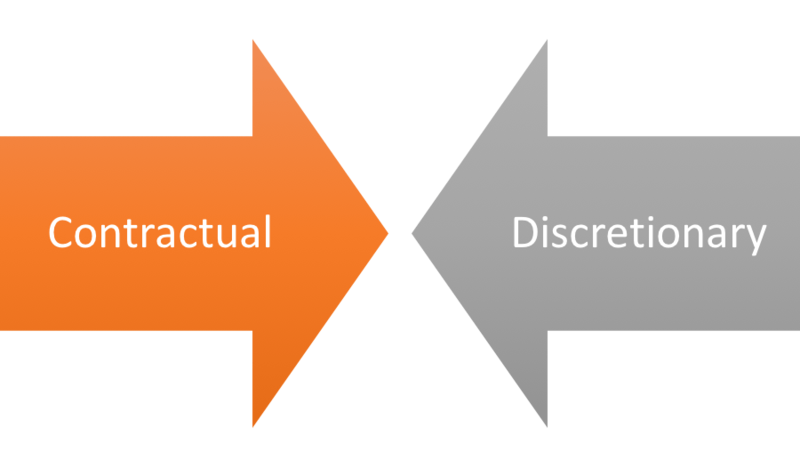 Discretionary effort occurs when I do more than I have been asked to do, not because I have to (contractual), but because I want to (discretionary). This effort means I work harder, actively learn whilst being trained, try to make things better, come up with new ideas and so on. In maths this means that for 100% of my pay I give you all of my effort and more – this means going the extra mile, giving 110% and so on. Simply put employers like engagement as it means they get more for the same amount of money. The magic to this lies in what motivates people. If we use Hertzberg as an example (you can pick other models – they all lead down the same path), he suggested that motivation comes in levels based on our needs. Lower level motivators including pay, bonuses, security, regular income etc and they keep up safe – this drives contractual effort. 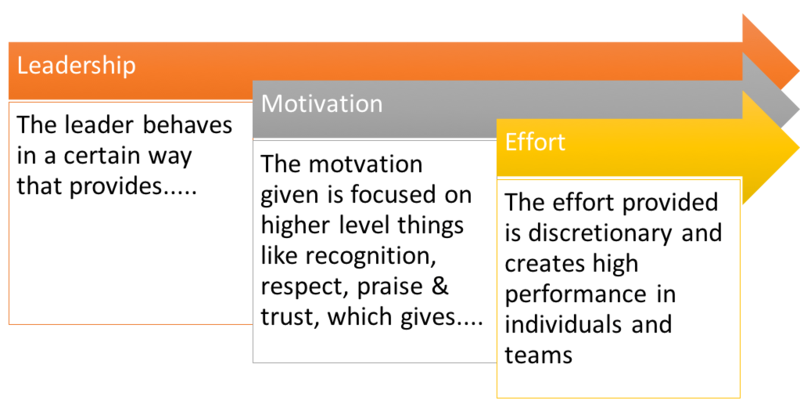 Higher level motivators such as recognition, praise, support, training, being given additional responsibilities, social respect etc are often delivered by the individual leaders and cost little, but drive discretionary effort. In a nutshell – leadership is a way for a manager to behave, so that it increases discretionary effort levels which improves individual, team and organisational performance. More often than not, what we learn in leadership is that it is about having an effect on a persons behaviour – encouraging them to behave in positive (discretionary) ways.